(Heat emoji), (100 emoji), (heat emoji). Last January LeBron James took a seat when his Cavaliers took on the Portland Trailblazers at home. In his absence Kyrie Irving took over, scoring 55 points that included 11 three pointers (one shy of tying and NBA record). 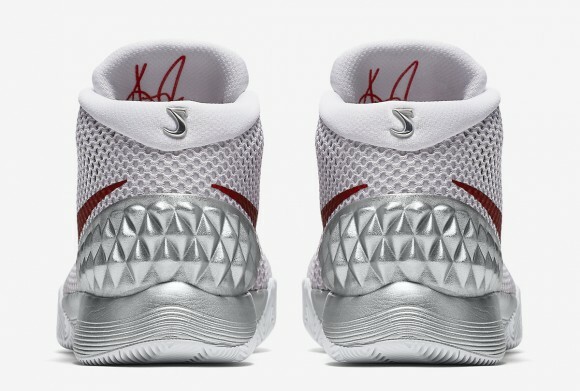 In honor of Kyrie’s spectacular performance, Nike gives us this ‘Double Nickel’ colorway of the Kyrie 1. Dressed in all white, with the exception of a metallic silver midsole and metallic red Swoosh, this colorway of the young superstar’s first signature model is a banger. 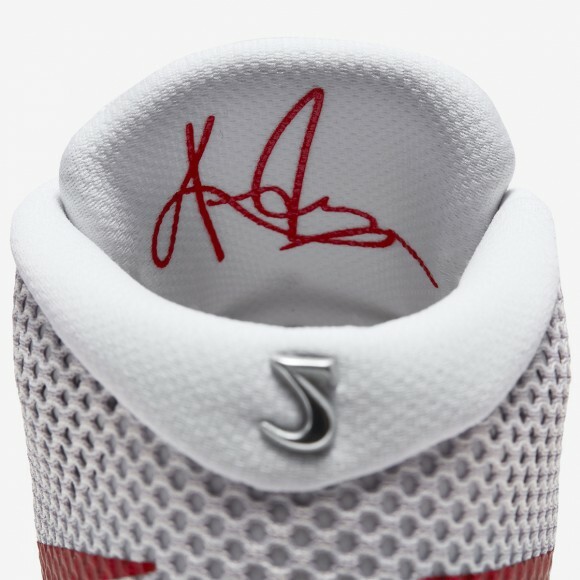 I almost forgot to mention the 3M laces and the flipped 2’s on the heel to resemble the amount of points Kyrie dropped, 55. 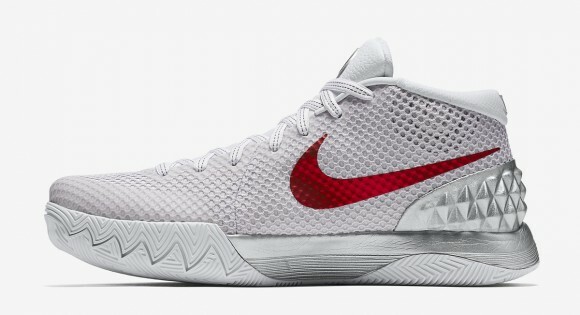 There is no word on an official U.S. release date, but stay tuned to WearTesters.com as we will update you with the latest information regarding this colorway of the Kyrie 1. I like the flipped 2s, very clever! 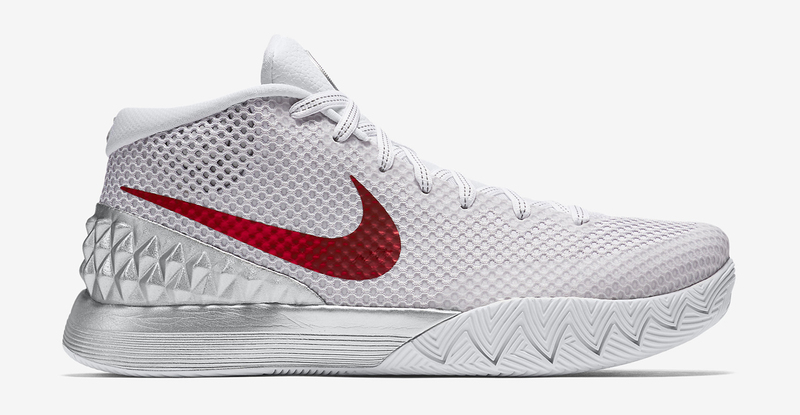 Overall easily the best looking Kyrie 1s I’ve seen! 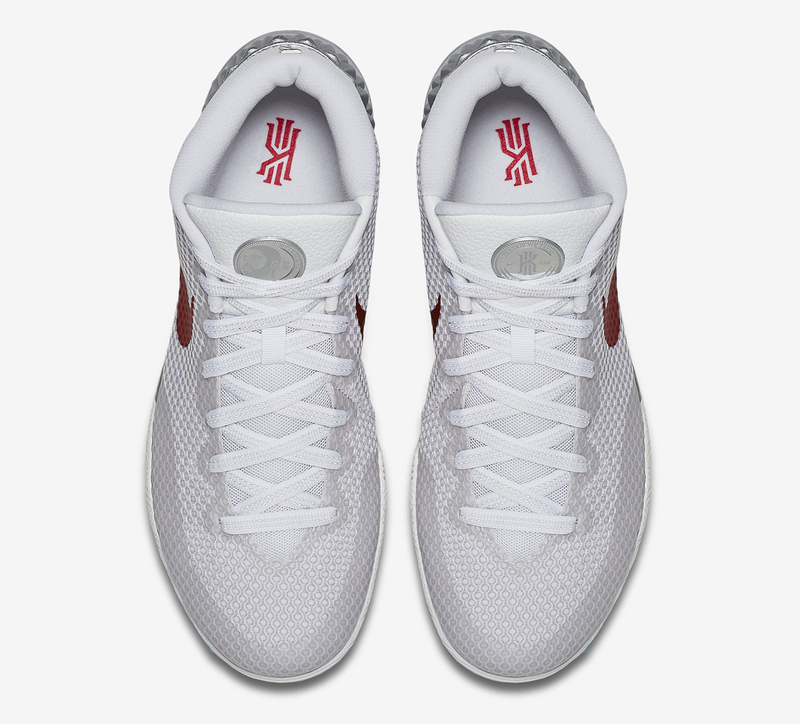 I am totally getting these, so clean and the metallic swoosh just sets these off.